‘Amazing Grace’ is the compelling and moving biography of the Member of Parliament who dedicated his entire life to abolishing slavery from the British colonies, William Wilberforce (1759-1833). In an age where very few thought slavery was unjust, William Wilberforce fought for what he thought was right – freedom for all. It took twenty painstaking years of political and cultural struggles for this brave Member of Parliament to lead the parliamentary bill for the abolishment of slavery in 1807. His heroic campaign is now considered one of the biggest human rights triumphs in human history, and he has become a powerful role model to Christians and non-Christians alike. Penned by Eric Metaxas, bestselling biographer of ‘Bonhoeffer’, this incredible true story has all the twists and turns of a modern day thriller – deception, danger, betrayal, and unrelenting passion for justice. Read 'Amazing Grace' and discover many sides to the man who changed the world – cultural reformer, passionate politician, man of faith – and be inspired to live in his footsteps. Eric Metaxas is the author of the New York Times bestseller Amazing Grace; Everything You Always Wanted to Know About God (But Were Afraid to Ask); Everything Else You Always Wanted to Know About God, and thirty children's books. He is founder and host of Socrates in the City in New York City, where he lives with is wife and daughter. His writing has appeared in the New York Times, The Atlantic, Washington Post, Books and Culture, Christianity Today, Marks Hill Review, and First Things. He has written for VeggieTales and Rabbit Ears Productions, earning three Grammy nominations. Amazing Grace by Eric Metaxas was published by Authentic in November 2013 and is our 17297th best seller. 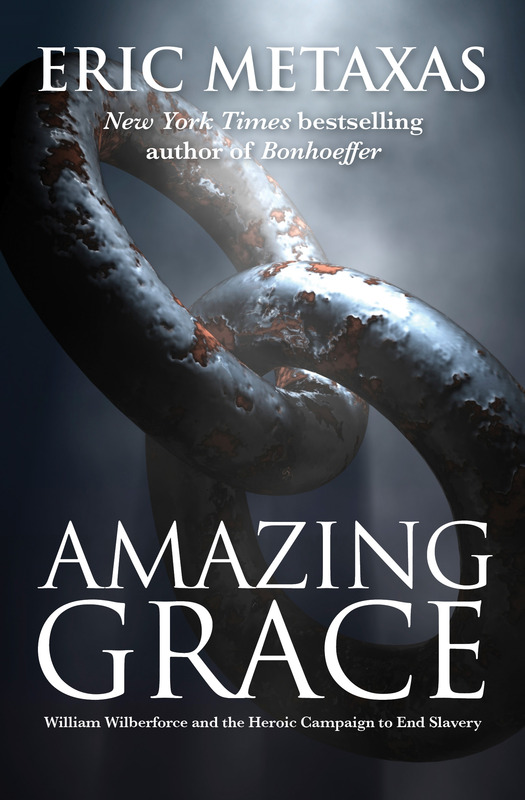 The ISBN for Amazing Grace is 9781780783048. This is a fascinating and enlightening new biography of William Wilberforce, best known for his ultimately successful fight to make the slave trade and slavery illegal. Eric Metaxas shows that Wilberforce achieved something very few in history have managed—he changed the whole of civilised society’s attitude. Although there is still slavery today, no government and no society believes slavery is right. The exact opposite was the case when Wilberforce began his campaign at the end of the 18th century. We find at the centre of Wilberforce’s life was his Saviour, the Lord Jesus. We see faith in action. He sacrificed his own political ambitions and spent much of his fortune to improve the lot of his fellow man and society. Anyone considering entering politics should read this book. Anyone wanting to understand how their faith should affect their life should read this book. In fact everyone should read this book. It will challenge and inspire you to think: What does the Lord want me to do? Got a question? No problem! Just click here to ask us about Amazing Grace. Amazing Grace tells the story of the remarkable life of the abolitionist William Wilberforce (1759 -1833). This accessible biography chronicles Wilberforce's extraordinary role as a human rights activist, cultural reformer, and member of Parliament. At the centre of this heroic life was a passionate twenty year fight to abolish the British slave trade, a battle Wilberforce won in 1807, as well as efforts to abolish slavery itself in the British colonies, a victory achieved just three days before his death in 1833. Metaxas discovers in this unsung hero a man of whom it can truly be said: he changed the world. Before Wilberforce, few thought slavery was unjust. After Wilberforce, most societies in the world came to see it as a great moral wrong.